Well well well! What do we have here? A total one-click winner (and bargain priced, at that!). Romantically angsty and tumultuous, but nothing too crazy. Well… hrmmm… crazy enough to have you furious and wanting to chuck your Kindle at times, but umm… just not unforgivable. Well… then again… 😉 Lets just say don’t get too comfortable, ’cause this love story takes plenty of emotional turns. Prepare for upheaval. Prepare to be pi$$ed! And prepare to encounter at least ONE scene in this book that will have you remembering your own “Once upon a time…” like that (and not always in a good way). *phew* This one was awesome. And you know what? I did it again… Amy, my trusted reading bud has been recommending this one to us for weeks (months?) now. Donna: Yes yes room 212 <— Oh we have another Room 212 lover!!! *snort* 😛 Poooooor Amy!!!! So adamant, and SO right… and yet… we just let her wallow in her book love, all by herself. And I always had every intention of reading it… but I just couldn’t gage what the book was about by that blurb. And apparently many of us couldn’t so Amy helped us out a little. And then… I was ON IT! Just like she said, that prologue HAD ME. I was SO in… and chastising myself already for not having jumped on this one sooner. This was exactly what I was looking for. I’m a romance reader, but not just “love” but all of the insecurities and drama and “entourage” that goes with new love. I LOVE that, ’cause in real life, it’s never that easy. 😉 And this one felt real. Amy: Room 212 is a romance with a good ol’ healthy dose of emotion and angst thrown in. The prologue alone let me know it was going to be rough. Seth has some *major* mood swings and Laura is on the wild side and they fight (oh lord, do they fight *shaking head*) but I loved them and just wanted things to work for them so badly… it just has a simplicity to it without any crazy twists or traumatic pasts or dark secrets (even though I thrive on reading those!) and with the right amount of angst and emotion…enough to make me hurt and give me the feels but not so much that I was a wreck. Yep, that is my “gush” book…we all have ‘em! Jean: Amy, I’m at 80%of Room 212 and whoa…what a whirlwind! This just better have a happy ending or I will hunt you down! Lol! Amy: You loved it, Jean??? YAY!! *dancing around* I don’t know about you, but her actions after that part – you know which one – and when she visited *********** made her pain just palpable for me. I’m so happy you loved it, too!! Amy: Jean, before I forget…I had heard this song before but never really listened to the words until today. O.M.G. I know book-song connections are very personal and subjective, but pay attention to the words (not so much the actual video) and tell me this doesn’t make you think of Laura. Maryse (and anyone else who reads Room 212 :D), you’ll see why when you read it. 😉 I feel like crying for the girl in the song Habits even when I’m *not* feeling emotional, let alone when I *am*. And after 212… *stifled sob* I guess I don’t have to say how excited I am about you starting it soon! Jean: Yay Maryse is reading Room 212! I know that part with ********* had me crying and feeling right along with her! Can’t wait to see your review! Party-girl, Laura, gets bonked in the face by a frisbee one day by cute but cocky frat-boy and friends. 😉 They all like her. Especially him. But she’s a bit homeless right now, and getting over her cheating ex, and wants nothing to do with these boys. She’s got a plan to get back on her feet, get a new apartment, and avoid “love” altogether. Er. ‘Nuff said!!! Read it!! I highly recommend it, if you love heartache. In books, I mean. Only in books. NOBODY likes heartache in real life. 😉 I’m not that crazy. Heh. – oh no – were those loafers? This was not the look of the guy I had seen the last two days. This was the look of a… a… Ken Barbie. My heart sank. Sh!t, I was going on a date with Ken Barbie in his Mercedes. What happened to my hot club kid? to it’s eventual intensity and all consuming fire, when they realize how into each other they are…. …and it’s potential heartbreak. *sigh* (cue that video link up there). 😉 Whoa. Good writing (at times a *touch* hard to follow in the sentence structuring, especially in the beginning…), but the story itself was totally there! Great pacing, in depth characters and best of all? My heart hurt, just the way I like it. Perfect, you know how I love the ache! Especially for only $.99. I’m off to click! Thanks! I will definitely read this. Now you HAVE to read Ten Below Zero Maryse! It was such a good book. OMG! OMG! Loved this book so damn much!!! Glad you enjoyed it! Now go read her next book NEVER ME! Also a stand alone and don’t let the blurb fool you!!! Okay Yamara, I’m taste-testing Never Me right now…. Oh wow, Jean was right…I *did* badger, LOL!!!! My ears are ringing but I DON’T THINK THAT WAS TOO SPOILERY AT ALL…. THAT IS JUST TEMPTING AMMMMYYYYYY!!! Oh. Er… am I talking too loud? Well, if that all it takes to get you to read (squeaky wheel)… then I will mention AGAIN the book I just finished. I want someone else to enjoy it, dang it. It’s called Fate Book. It was such a surprise. It starts off with a girl who tells a whopper of a lie because her arch-enemy is such a bee-yotch. She posts on FB that she has a boyfriend and uses a picture of a hot model she finds on the internet. Who is going to find out? He’s in the Hamptons!! THEN….. one day he shows up!! nd he tells her to go along with it, or else. or else what? Why? what the? Then it gets crazy. The girls is so funny and loveable. And he is a complete mystery. And you have NO IDEA why he is pretending to be her hot boyfriend. The writing was great. It’s a stand alone. HEA. Epilogue. It was like KA lite….. loved it. If nothing is doing it for you, you should read this one. I picked this one up too and glad I did based on the review. I will second Ten Below Zero and have already raved about it on here. It’s a tumultuous read but has a HEA if that pushes anyone to try it…or to chase the scary away *cough* Maryse. It’s one of my favorites this year for sure. Woohoo is it safe to say Kate has threatened my life if you don’t like it. Lol but I’m sure you’ll love it! I read the blurb for Never Me and went to one-click it…surprise, I already had it! I didn’t even realize it was by the same author. Looks promising! Are you reading WiR Amy? Michelle, I think Fate Book is my next read. Great review Maryse! Guess we should listen to Amy every once in a while. I am intrigued by Never Me, also scared to read Ten Below Zero, and really want to read Fate Book!! Jealous of your planned day Amy, but I had that yesterday and never put Ugly Love down until I was done!Loved it!!!!! Oooooh, Empathy looks good. Need I say it? I will anyways…one-click!!! It was Amy! I don’t know why I always hesitate with her books because I always end up loving them! So far I have only read Slammed, Maybe Someday and Ugly Love…..all unforgettable!!! Jean – same here – I waited to read Maybe Someday and was kicking myself. I will NEVER doubt this author again. She always delivers. WAIT A COTTON PICKING MINUTE….. you haven’t read Hopeless? That was my first Colleen Hoover book. Will never ever ever forget it. Please tell me you just left it off your list!!! Sorry MichelleS, but I have not read Hopeless yet… I have it though… I know, I know, I should get on it!! She has not disappointed me yet with any of her books. 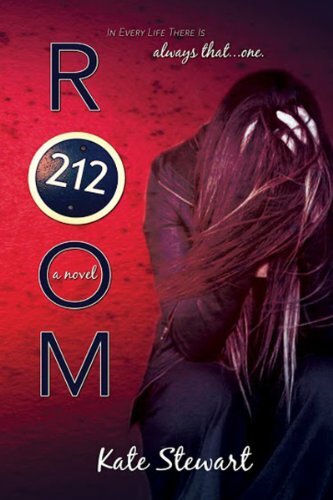 Just finished Room 212… I agree with the review. I was so angry at some points, but had to keep reminding myself they were in their early twenties and were “idiots”… I loved her strength at the end of the book, and ultimately was happy with it. Good recommendation, Amy!